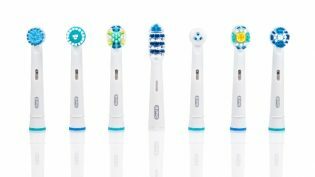 Classic Dental Smiles > Classic Dental Smiles Blog > General Dentistry > Rancho Bernardo Dentist | TOOTHBRUSH WARS! “What’s the difference between a regular toothbrush and an electric one?” This is a very popular question that we get asked all the time. In our Rancho Bernardo office, we like to say that the best toothbrush is the one you’ll use (the same goes for the different brands of floss). For those of who prefer manual, great! If you love powering on your electric toothbrush, more power to you! For those on the fence, let’s review the advantages of both options. Readily available in stores, hotels, airports, etc. Easier to use for those with limited physical or dexterity movements due to arthritis or other medical issues. Research has shown that there is a difference in efficiency of electric brushes over manual ones. However, there is no statistically relevant difference between brands of electric toothbrushes. The same goes for different manual brushes. The bottom line is that both can be effective. However, if you don’t use your toothbrush or miss areas of your teeth while brushing, no brush will make plaque magically disappear from the missed areas. Effective brushing technique does matter, regardless of the type of brush used. With the advancement of technology, there are many cell phone apps that can help you set a timer to measure the duration of brushing or play music to help you know how long to brush for. This is especially helpful for kids who need the extra motivation. So whether you choose a manual brush or an electric one, these apps can help you in your journey to maintain a healthy and happy smile!